This module is perfect for making a 2S battery pack using 18650 Li-ion Batttery. 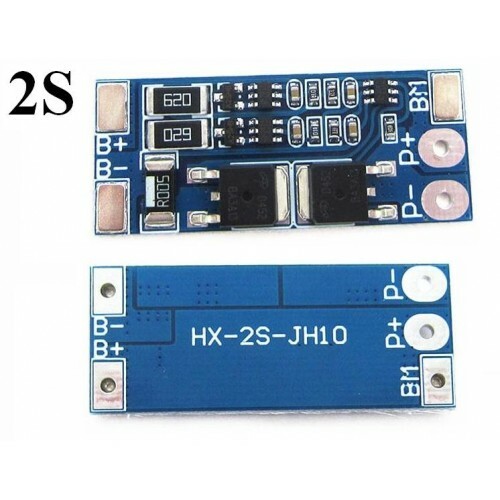 HX-2S-JH10 is a 2 Series (2S) Lithium Ion Battery Managment System (BMS) Module with 8 Ampere continuous Li-ion protection board. P - then charge / discharge negative (charge / discharge common).